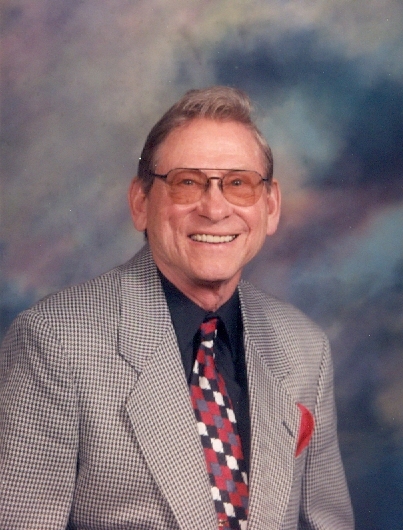 Ray Neuman, 94, of Wahpeton, ND, passed away on Thursday, January 31, 2019 at Eventide in Fargo, ND. Visitation will be held on Monday, February 4, 2019 from 5:00 pm to 7:00 pm, followed by a prayer service at 7:00 pm at Vertin-Munson Funeral Home, Wahpeton. Visitation will be held on Monday, February 4, 2019 from 5:00 pm to 7:00 pm, followed by a prayer service at 7:00 pm at Vertin-Munson Funeral Home, Wahpeton. Visitation will continue Tuesday, February 5, 2019 from 10:00 am to 11:00 am, followed by his funeral service at 11:00 am at Bethel Lutheran Church in Wahpeton, with Rev. Erika Buller officiating. In Lieu of flowers, memorials may be made to Bethel Lutheran Church or a charity of your choice. Raymond Fred Neuman peacefully passed away on January 31st, 2019. He was born January 18th, 1925 to Paul and Alvina (Roth) Neuman in Nashua, MN. He was the youngest of seven children. Ray went on to graduate from Tintah High School in 1943 as salutatorian. He enlisted in US Army in 1944 and was stationed at Fort Hood, TX. In January of 1945 his regiment was stationed on the island of Saipan. After attending Saint Cloud State College, Ray accepted a position at Nashua Creamery. Several years later he moved to Campbell where he worked as a rural mail carrier for 35 years. He retired in 1986. Ray enjoyed volunteering at his church, St Francis Nursing Home and Twin Town Villa. Ray married Dorothy Smith in 1950 and proudly raised their six children in Campbell, MN. He loved his role as a father, grandfather and great-grandfather. Ray married Lynda (Field) Berndt in 1995 and lived with her in Wahpeton, ND. Ray enjoyed many special times with his family. He loved time outdoors camping, fishing, hunting and gardening. He also cherished time with all of his grandchildren, including Monday night softball games with Brandon. Ray is survived by his wife Lynda of Wahpeton, ND; children: Michael Neuman (Courtney Caldwell), Costa Mesa, CA; Cindy (Steve) Armstrong, Prior Lake, MN; Jeff (Judy) Neuman, Bloomington, MN; Terry Neuman, Campbell, MN; Kim (Brad) Pauly, Wahpeton, ND and Kristi (Doug) O'Neill, Glenwood, MN and step-children: Darrin (Naomi Carrier) Berndt, Bremerton, WA; Ryan (Meredith) Berndt, Columbus, OH; Janessa (Jared Rohde), Fargo, ND. He is also survived by 15 grandchildren and 21 great-grandchildren; , Jim Field and sister-in-law, Bonnie Field, both Fargo ND. He was preceded in death by his first wife Dorothy, sisters: Edna Ludwig, LaNora Beeler, and Lorraine Herman; brothers: Edwin Neuman, Gilbert Neuman and Lawrence Neuman. Parents: Paul and Alvina Neuman. Ray will be deeply missed by his family, friends and community for his outgoing personality and infectious smile. There's still time to send flowers to the Visitation at the Vertin-Munson Funeral & Cremation Service from 5:00 PM to 7:00 PM on February 4, 2019.